Do you know a student who slumps and leans in her seat? Have a kiddo who just can’t seem to sit still? Or maybe there’s a child you know who can’t concentrate in the classroom or during homework time. Very often, when we see issues like these, the underlying problem is core strength. Weak core muscles are becoming more and more common in kids today. *To purchase products on our site, you will be redirected to PayPal, where you can pay with your account or using a credit or debit card. 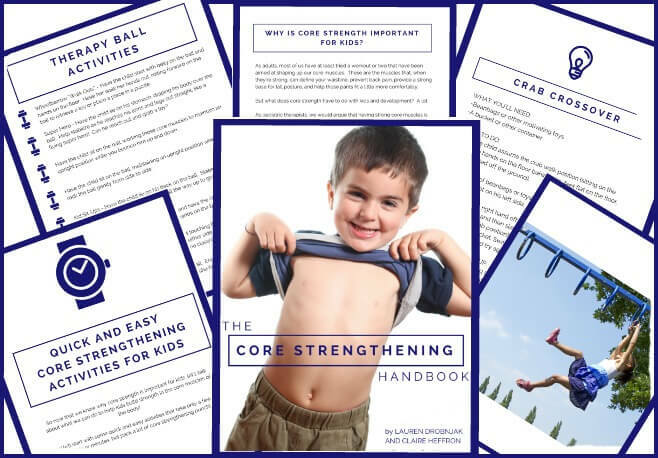 The Core Strengthening Handbook is the ultimate resource for fun and creative core strengthening activities for kids! Inside this pdf, you’ll find tons of awesome exercises, games, and activities designed to give kids the strong core foundation they need to succeed! 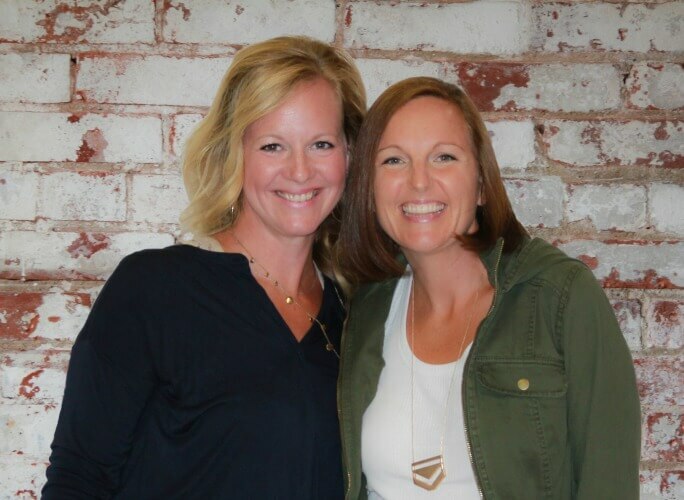 Maybe you’re having trouble thinking up new and exciting core strengthening ideas for the kids in your therapy practice, or your child’s therapist has recommended working on core strength at home. Or maybe you notice the kids in your classroom slumping in their seats, fidgeting, or having difficulty paying attention. The core is the center of control for everything else the body does. When kids have strong core muscles, it paves the way for the progression of other developmental skills. 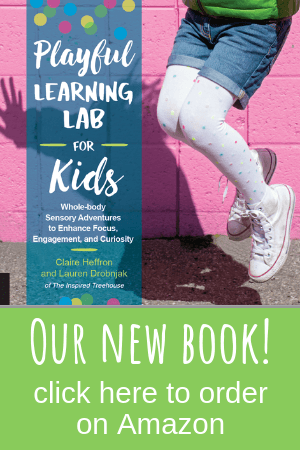 The core strengthening exercises and activities in this book were created by pediatric occupational and physical therapists and offer playful and creative ways to help your child establish a strong core foundation. These activities require little or no setup and can be completed in just a few minutes. Perfect to use as group warm-up activities in the classroom or as a quick intro to your next therapy session. Whether you’re in the therapy room, the classroom, or at home, working with some simple equipment can help enhance core strength in kids. Grab a therapy ball, wedge, scooter, or bolster and get started! From babies on up, there are lots of ways to make core strengthening fun and interesting through play! 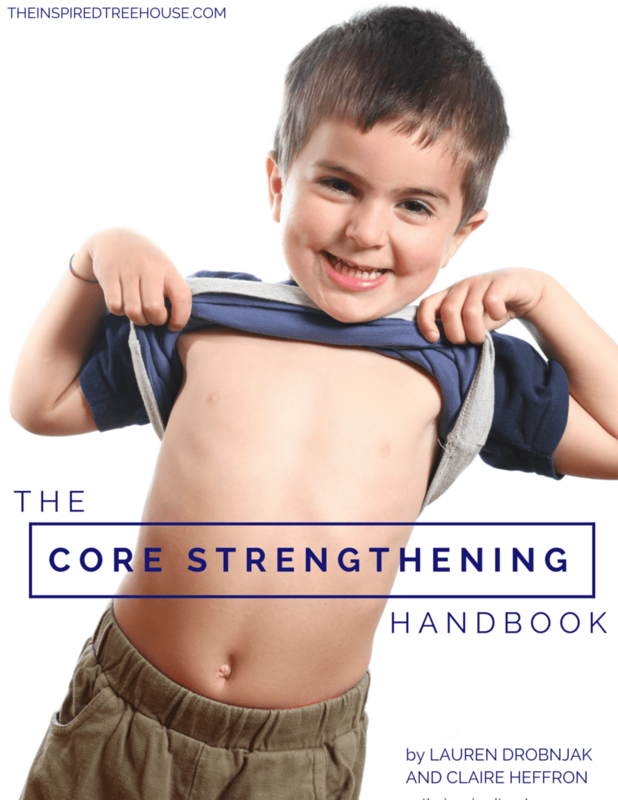 Print copies of The Core Strengthening Handbook are now available on Amazon!